Banners have been super popular among paper crafters for some time now. I'm a big fan--I love the fun celebratory feel of them and they're great for layouts, cards, and decor projects. Since they've been around for a while, it's fun to try and give them a unique spin. 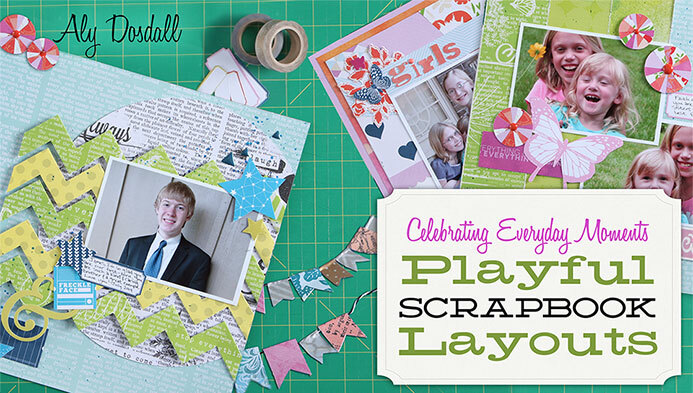 That's what I decided to do for this scrapbook page I created for my Celebrating Everyday Moments: Playful Scrapbook Layouts class over at Craftsy. Rather than make my banner out of patterned paper alone, I interspersed some fun banner flags made with washi tape. 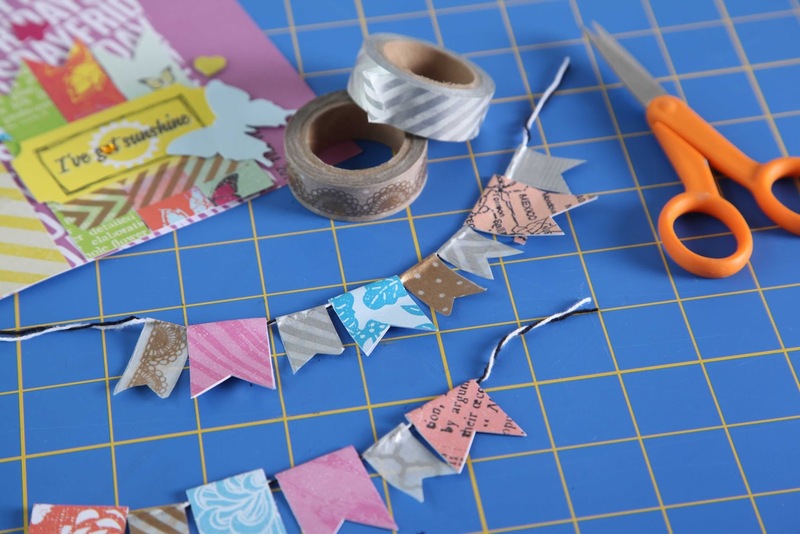 The washi tape adds more texture, depth, and interest to the banner. It was easy to create this washi tape banner by tearing off lengths of tape and folding them over my twine. Then I trimmed the uneven edges of the washi tape so they were straight, and then cut a "v" shape into each one. I placed my three-tiered banner on a scrapbook page, but you can add washi tape banners to cards or other paper craft projects. 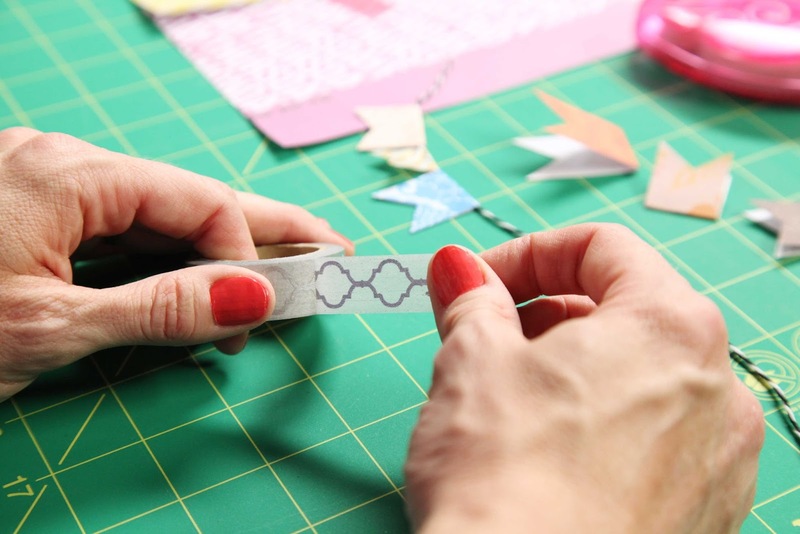 They're a great way to add some punch to your paper creations! 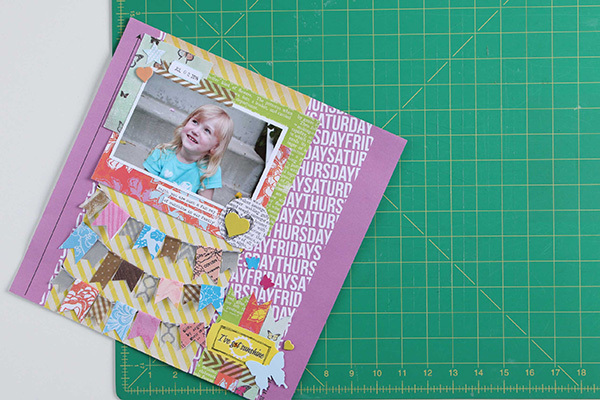 This is just one of several unique and playful techniques I share in my Playful Scrapbook Layouts class at Craftsy. 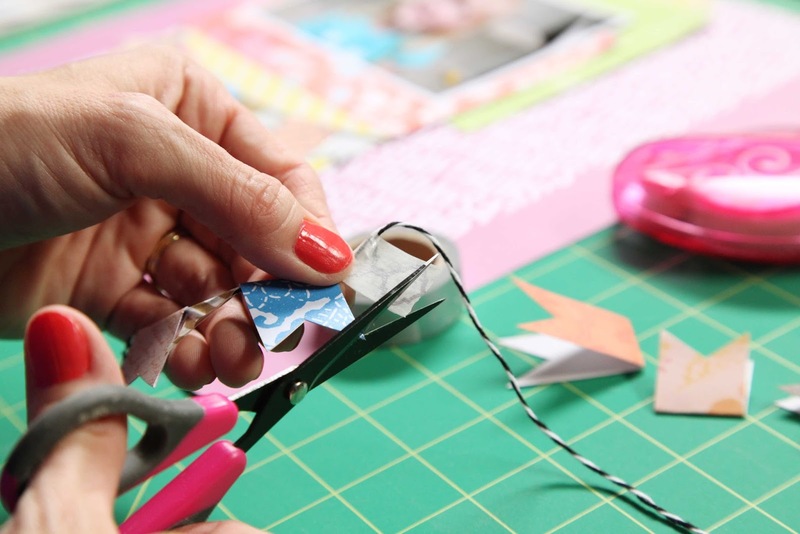 If you'd like to learn more fun scrapbooking tips and tricks, CLICK HERE to visit the Craftsy website, get more details, and receive $5 off! Woot woot!